Middle Eastern Muhammara with Pita / Crudites Jars with Moroccan Hummus / Three Raita Recipes with Vegetable Chips. Starting our game-day menu with some dips and spreads. Ottolenghi’s Eggplant with Yogurt Sauce / Roasted Heirloom Tomatoes in Fontina Cheese / Skewered Rosemary Bread with Baked Camembert / Roasted Tomato Salsa. Sausage, Cheese and Cracker Platter. Romano Cheese and Oregano Popcorn Snack / Sweet & Spicy Curry Kettle Corn / Game-Day Popcorn Party Mix. Football deviled eggs with Chives / Football bites with Summer Sausage, Cheddar and Ranch. 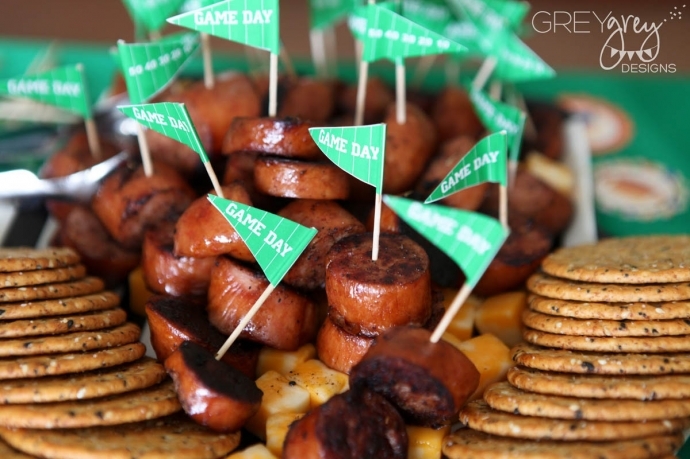 Mini Bites + Finger Food. Soft Pretzel Tots with Dipping Sauces / Chilli Sausage Puff Pastry Rolls. 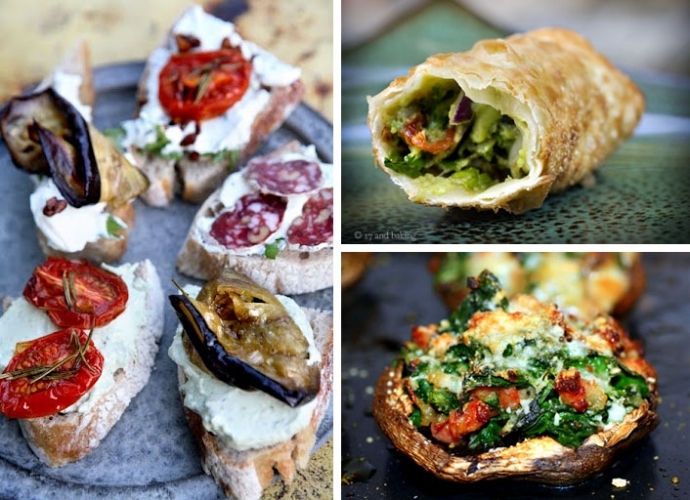 Spinach and Feta Florentine Rolls / Easy Pepperoni Pizza Pinwheels / Cheesy Pizza Pretzel Poppers. Mini Spinach and Cheese Pockets / Turkey, Cheddar and Apple Hand Pies. Feta Goat Cheese, Roasted Vegetables and Sausage Bruschetta / Avocado and Sundried Tomato Eggrolls with Chili Dipping Sauce / Stuffed Mushrooms with Spinach and Pancetta. 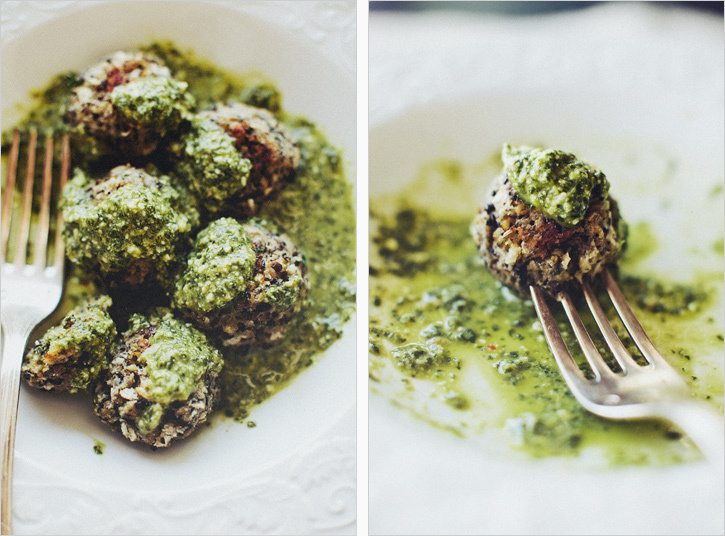 Lentil “Meatballs” in Lemon Pesto. Creamy Avocado Chicken Salad / Individual Scallops and Shrimp Ceviche. Rosemary Straw Potatoes with Lemon Salt / Oven-Baked Garlic Parmesan Fries / Indian Potato Sticks / Mini Roasted Potatoes. And ending with an assortment of spicy chicken wings. 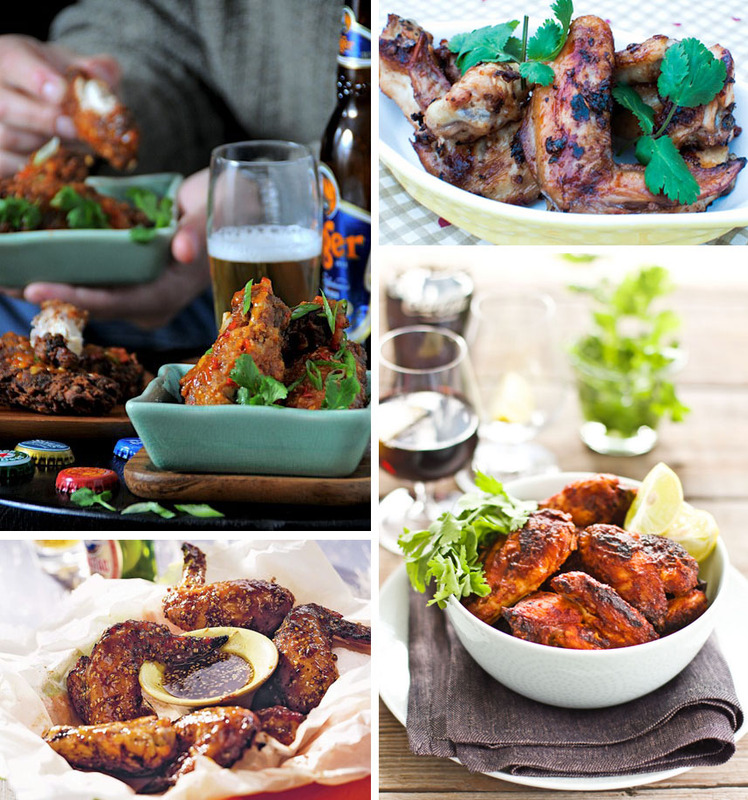 Asian Crispy Chicken Wings with Spicy Sweet Chili Sauce / Chipotle Roasted Chicken Wings / Plum Sauced Chicken Wings / Spicy Chicken Wings.